Most elected officials greet a chairmanship with some excitement. 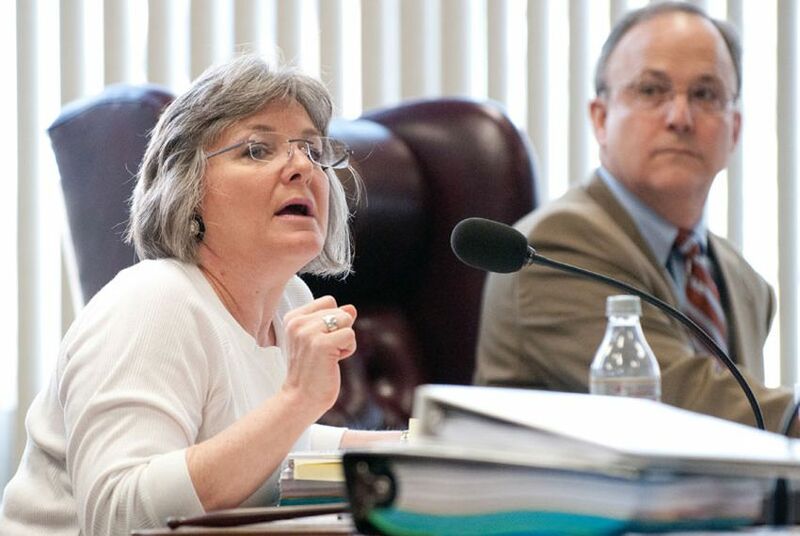 Gail Lowe, the Lampasas Republican who recently became the chair of the State Board of Education, is approaching her new title with some apprehension. "I'm not angling to do this any longer than I have to," she said. "I'm sort of the backup." It's true. Last year, the Texas State Board of Education found itself garnering national attention as its chair, Don McLeroy, led a debate over the role of evolution in textbooks. As controversy gathered, McLeroy, a creationist, found himself without the necessary two-thirds support for confirmation by the state Senate. The governor waited after the legislature ended to make his new appointment. And suddenly Lowe found herself in charge of the board. Despite attempts during the legislative session to curtail its power, the state board wields significant power over public education. Among their duties, members set the Texas Essential Knowledge Standards in each subject area, determining what must be taught in schools. Partisan elections determine the members and the governor appoints one, normally with Senate consent, to lead the board. A strong social conservative, Lowe compares herself to other moms who populate PTA meetings and football games. Warm but shy, she's an unlikely politician. "I just don't enjoy seeing my name in print," she said. "I would rather be back behind the scenes doing my job than to be upfront being the spokesperson." This stands in stark contrast to McLeroy, who often courted attention in his efforts to push the SBOE in a more conservative direction. "As a chairman, I don't push my ideas and my agenda," Lowe said. "I think [my role] is to facilitate other members doing that." Lowe counts McLeroy as a "visionary" and one of her best friends on the board but acknowledges the difficulties of his approach. "I think he was seen as polarizing because he was very outspoken about his views," Lowe said. "I think some who were looking for a bone of contention used that against him as if he was creating a divide among members because in his role as chairman, perhaps he shouldn't have taken such outspoken positions." McLeroy now faces a reelection challenge from Republican Thomas Ratliff, a lobbyist whose father, former Sen. and Lt. Gov. Bill Ratliff, is now outside government pushing education reform. Her manner may differ from McLeroy's, but Lowe's positions, for the most part, do not. "I would think we share very similar philosophies and outlooks. Except he's a talker and I tend to be more the listener." And while she hopes to serve as a moderator, she won't be pushing for agreement and conciliation. "I'm not good at crossing the aisle and working with those who hold opposite but also very strong principles," she said. "I recognize that we hold very different opinions and I'm just not very good at the compromise. I'm just not good at forging that and I think other board members are. And I appreciate their role. And it does make it easier for me to say, you're willing to come this far, I'm willing to come that far." The board has just begun its review of the social studies curriculum, and while the potential for drama might not be as high as it was for biology, that doesn't mean the process will be smooth. Already there have been allegations that the conservative members are pushing out figures like César Chávez and Thurgood Marshall in favor of Republican heroes. While Lowe is adamant that Chávez and Marshall are simply moving from the "citizenship" section to "civil rights," she acknowledges, "some of the bean counting on gender and ethnic background have begun which hold potential for public debate and public disagreement." For now Lowe will focus on the maintaining the rules on the board. Despite her conservative views, she won't be the revolutionary McLeroy was. "I'm not the visionary and the thinking outside the box person," she said. "I'm more the nuts and bolts administrative type."